If you’ve ever dealt with nail discoloration, brittleness, and distortion, chances are that you’re one of millions of people living with Onychomycosis – more commonly referred to as nail fungus. 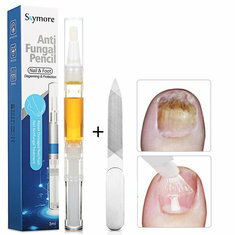 Although fungi get a bad rap, nail fungus is rarely the result of poor hygiene. A single spore can start an infection by sneaking into the nail bed through a scratch or opening a person may not even realize is there. Like Athlete’s Foot, nail fungus is usually picked up in shared spaces, such as locker rooms, pools and nail salons. Toenails tend to get the worst of it. Fungi thrive in warm, moist areas. Just by wearing socks and shoes, you’re creating a perfect environment for the infection to take hold and grow. This is one of the reasons that treating toenail fungus is so difficult; walking around without shoes is not an option. Because it’s so hard to treat, there are dozens of purported solutions. A trip to the doctor’s office could get you a prescription for an anti-fungal pill or cream. Another option is a medicinal nail polish – also generally prescribed by a doctor. However, even prescription medications generally have only about a fifty percent success rate. But not everyone has insurance, and not everyone has the time or inclination to go to a doctor. For these people, good options can include soaking nails in vinegar or antiseptic solutions, such as mouth wash or over-the-counter rinses. Lavender and lemon juice mixtures are also common suggestions, albeit with mixed results. The most trusted method for treating nail fungus at home is the use of tea tree oil. Tea tree oil has been used as an antiseptic and antimicrobial treatment for fungal infections for about 200 years. More recent studies of its medical uses suggest that it is about as effective as the commonly prescribed anti-fungal medication Clotrimazole when used correctly. It is derived from the Narrow-leaved Tea Tree in Australia. To meet the International Standards’s definition, the oil must primarily contain the compound Terpinen-4-ol, with additional amounts of 14 other compounds. Other components may vary, but the majority of commercially available tea tree oil meets this standard. 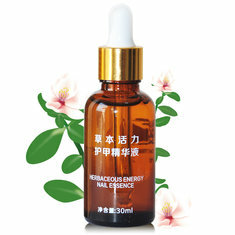 The primary compound, Terpin-4-ol, is responsible for the antimicrobial and anti-inflammatory properties of the oil. Avoid purchasing tea tree oil with 1,8-cineole as the primary listed compound, as this is less effective and more likely to result in adverse reactions to the oil. 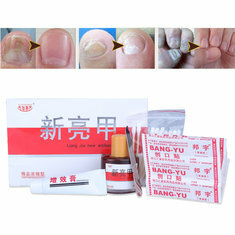 To treat toenail fungus using tea tree oil, the nail should first be cleaned of debris or accessible fungus. This can usually be done with a nail clippers and a toothbrush or nail brush, though it should be thrown away after use to prevent re-introducing the fungus to the nail. If you have longer nails, they will need to be clipped first. Soak your nails in warm water to soften them for clipping. Alternatively, you can clip them after a shower to save time. Try to clip close to the nail bed, and use a nail file to even out any sharp edges to prevent ingrown nails – a common complication of nail fungus due to the misshaping effect on the nail. Next, use the brush to clear away any debris from the nail. Make sure to be brush the sides of the nails as well, as this area is often missed. Once the debris is cleared, dry the area of any excessive moisture with a clean cloth. Using a cotton swap or ball, apply the undiluted tea tree oil directly to the nail. Be generous, but avoid letting the oil drip all over your feet. While applying the oil, be careful to avoid contact with your eyes and mouth and try to apply over a cloth or a napkin, as it is slick. Allow your nails to dry completely before putting on any socks or shoes. For best results, avoid wearing closed-toed shoes and socks whenever possible while treating nail fungus. Additionally, consider wearing shoes such as flip flops or waders in shared bathing areas like pools and locker room showers to prevent spreading the fungus or getting a new infection. Use this treatment twice a day, preferably in the morning and evening. It is recommended that you continue treatment for six months even if the infection appears to have been cured, as all it takes is a single surviving spore for the infection to start all over again. Tea tree oil has not been reported to interact with any known medications, whether prescription or over-the-counter. It is generally considered a very safe treatment, though it is recommended that parents do not apply to prepubescent boys, as it can result in hormone disruption. Avoid oral ingestion of tea tree oil, as it can be toxic when ingested. Be especially careful if you’re pregnant. In some cases, skin irritation or swelling can occur with topical application. If this happens, stop all tea tree oil treatments. Skin dryness or redness can be a problem as well, but it is not generally associated with every use. Nail fungus can be hard to deal with. But with proper treatment, your nails might become healthy and strong again.